Our client, an owner and operator of a paper mill in the United States, had experienced record production levels over the previous year. However, reduced prices and new online competitors forced the mill to think critically about how to improve reliability. PIP was engaged to help the client drive rapid productivity improvement in 10 weeks, and to wire a pilot area (maintenance) from the General Manager down to the front-line workers (maintenance mechanics). 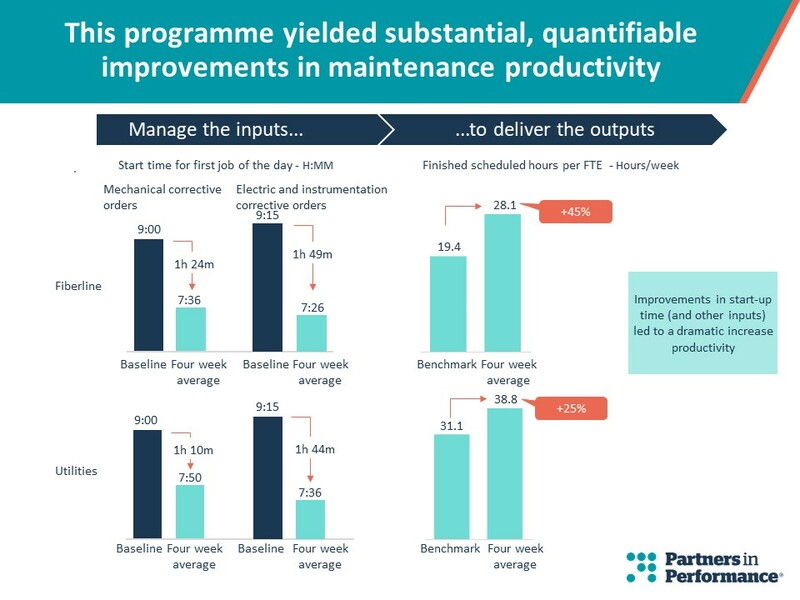 The key question PIP was tasked with was: how can the mill take one or two key behaviours and ensure the whole organisation is critically reviewing them and driving for continuous improvement?